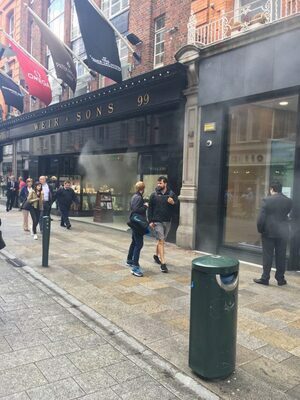 Posted in Misc and tagged Grafton Street, smoke at 12:33 pm on August 2, 2017 by Broadsheet. well, did it smell like smoke or was it dry ice? 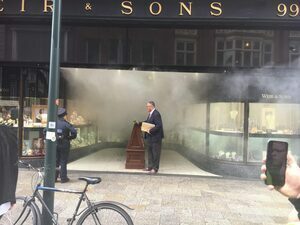 And so the greatest heist in Irish history begins. 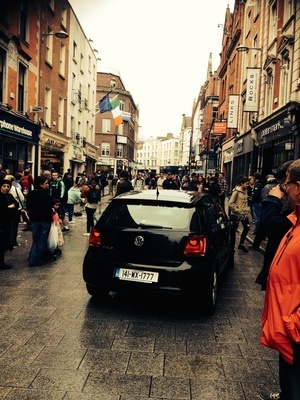 Dunno but the Ban Garda seems to have it under control. it’s not uncommon for gents my age to make unsubtle efforts to “jazz things up”. I’m on guard. I’n constantly vigilant myself tbh, it’s a dangerous age. It’s the alarm system, it prevents you from being able to steal anything in the fog. 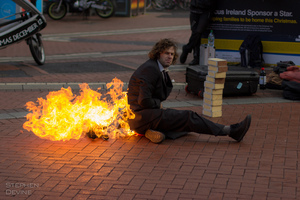 Is it not just the bin on fire?